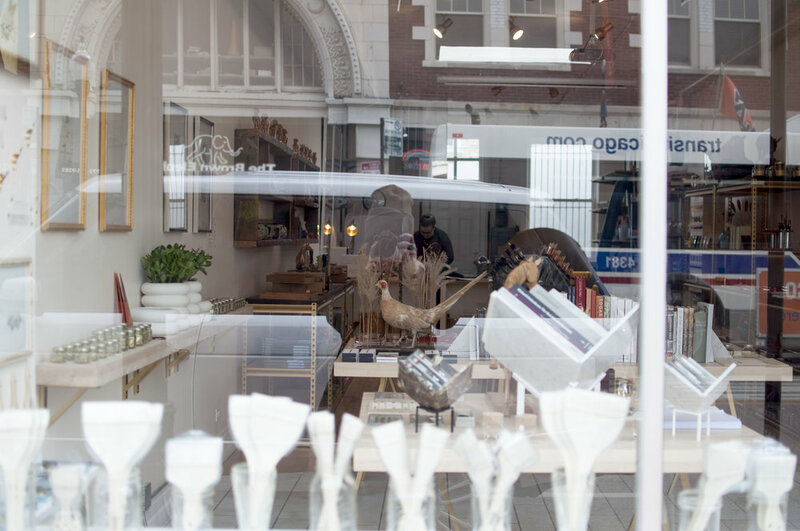 Andersonville is one of our favorite neighborhoods so when we heard a new store opened up we were delighted. When we learned it was an art supplies and beautiful things store...even more. 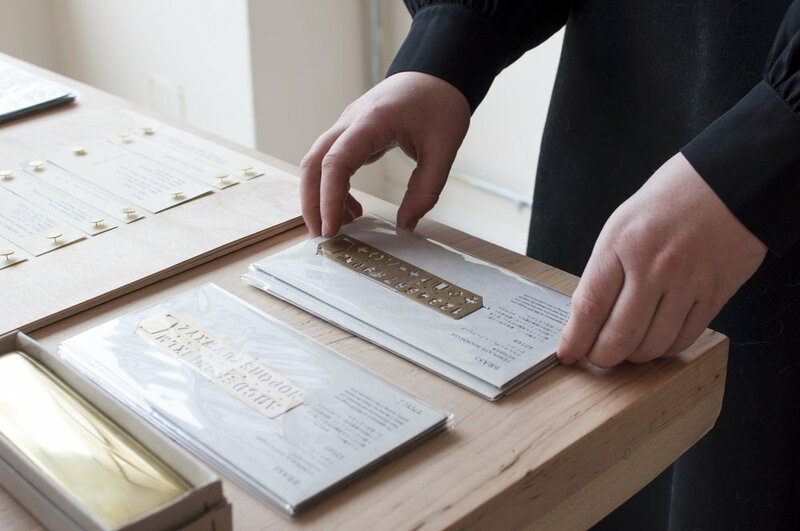 It was as if owner Jean Cate could read our minds when we received an invitation to see the space. We fell in love before even walking in. The pink facade and glimpses of art through the big windows got us craving for more. 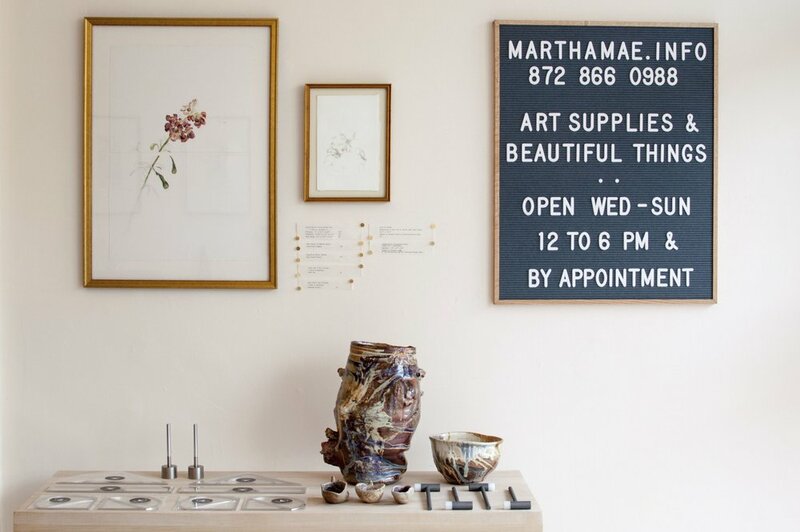 We've been back to Martha Mae: Art Supplies and Beautiful Things plenty of times and it still gets us motivated and inspired. The entire shop feels like a sneak peek into Jean's mind and personal collection. Jean's passion for creativity shines through every detail of her space. 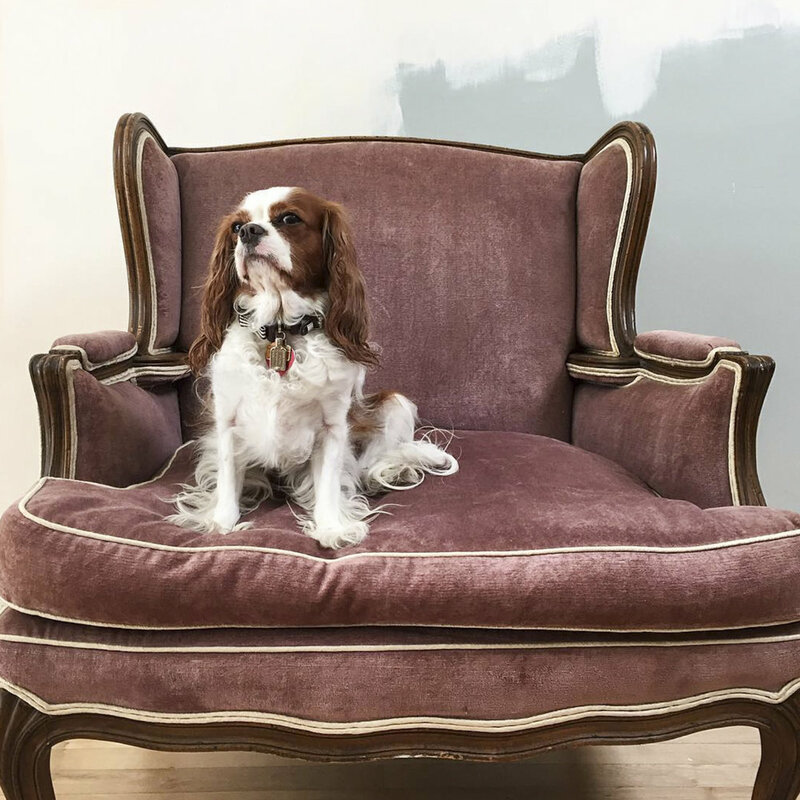 Her partner in crime, the very fashionable Martha Mae, Jean's Cavalier King Charles Spaniel is just another wonderful reason to stop by and say hello. My name is Jean Marie Cate. I am an artist, and the creator and owner of MARTHA MAE, a brick and mortar shop (online shop coming soon) offering art, art supplies and beautiful useful things. 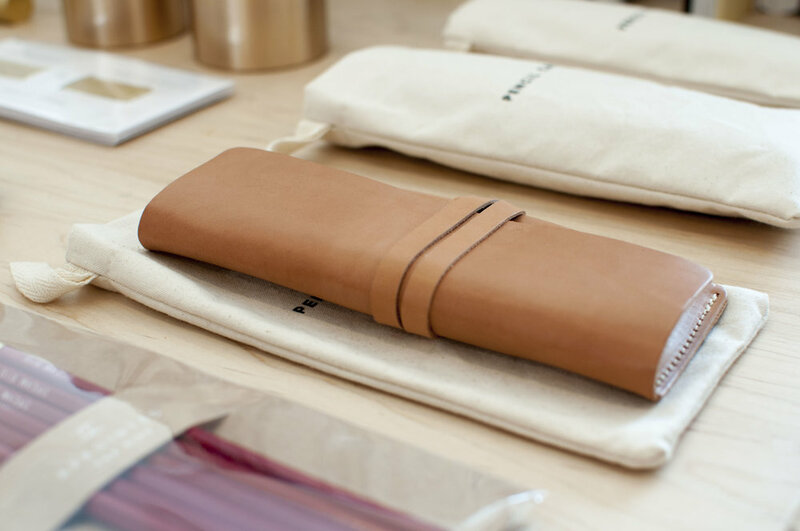 I thoughtfully curate the shop in a way that features my own work (etchings, drawings, watercolors) and my aesthetic sensibilities in the goods and products I carry. I am a graduate of SAIC and I live and work in the Chicago neighborhood of Andersonville. Walk us through a typical day in the life of Jean. Like any small business owner's, my days are irregular. On Mondays, I teach private lessons in drawing, watercolor and bookbinding with the underlying goal of creative empowerment. Tuesdays are technically my day off, but I often find myself running errands and researching vendors for the shop between naps and watching British documentaries on Amazon Prime. The shop is open Wednesday through Sunday from 12 to 6 PM. 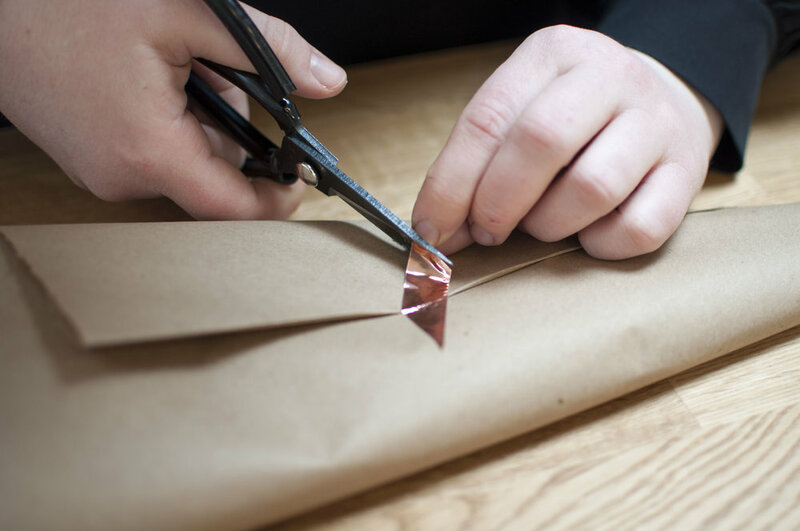 Those days, in between helping customers, Martha Mae (my adored Cavalier King Charles Spaniel and the shop's namesake) and I place orders, handle other administrative tasks, accept deliveries and arrange/ rearrange the shop and its displays. On weekends, the shop can be mightily busy and the majority of my time is spent assisting customers, taking sips from a liter bottle of kombucha and straightening up. I find inspiration in my daily life, in my everyday routines. At the moment, I spend most of my time working at the shop, so I marvel at products, their materials, their processes, their packaging; think of their makers and I am inspired; but the sights and sounds and people of the neighborhood and those that come into the shop frequently are the source of inspiration for me as well. How do you make time for creativity and collaboration? I purposefully chose to open this shop and make this my life’s work in order to make creativity and collaboration a priority. The shop’s success is completely reliant on these two things. When my passions and vocation are one, the former is not relegated to the back burner, and I need to move forward and create in order to thrive. What tips would you give to anybody who is looking to get started? Follow your instincts, do what you enjoy. People will be much more likely to respond to something done authentically and with love than something that's merely technically sound. What keeps you motivated and making? I frequently lack an inherent sense of wellbeing. This serves a my greatest motivation to make. I find great pleasure and empowerment in making. You wear many creative hats–do you have a favorite? The hats I don are more of an elaborate, interwoven headdress. I throughly enjoy wearing it, but I particularly enjoy the moments in which I can make my own artwork. Being alone and away from the pressures of running a business and making brings me tremendous satisfaction and helps to nourish the other 'hats' and lighten their load. What have you learned from your career that you wish you would have figured out earlier? 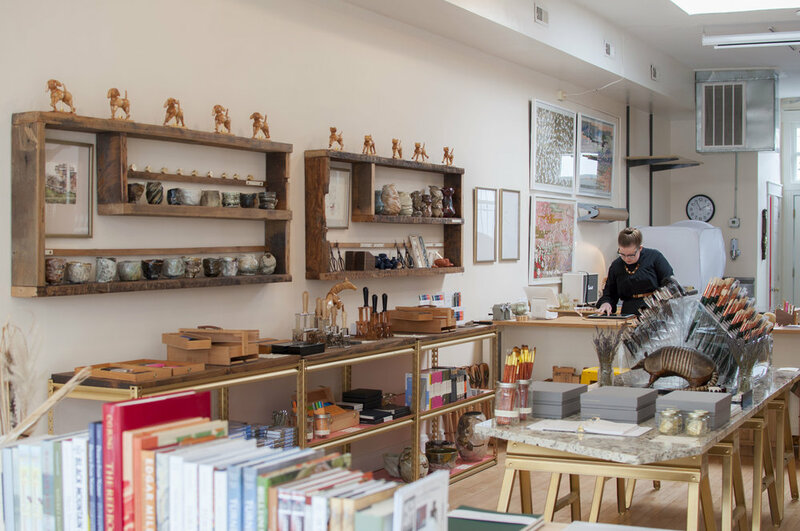 Owning a shop, like life in general, is a relentless process of making mistakes and learning from them. I’m still in the thick of learning and I’m afraid that will not change, but I am also very grateful for the opportunity to apply the lessons that I have learned and move forward. If you weren’t doing this what else would you do? If I wasn’t running the shop, I would live as a recluse, modeling my days after Emily Dickinson, Virginia Woolf and Beatrix Potter. I would make and make and bank on a relative selling/distributing my work posthumously.